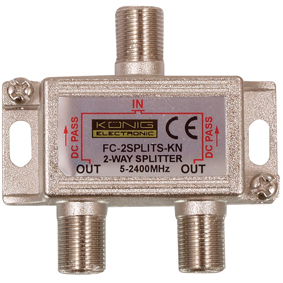 Splitter in a zinc diecast housing with satellite DC-power pass, nickel plated. We have a full range of satellite cables in lengths up to 20m. Click here for our full range.